Mountain View, CA – Today eHealth, Inc. (NASDAQ: EHTH) published an updated Medicare Resource Guide to help consumers find, compare and enroll in the quality Medicare coverage they need. The first wave of the baby boom generation, the 78 million Americans born between 1946 and 1964 and alive as of 2005, began turning age 65 and becoming eligible for Medicare in 2011. The U.S. Census Bureau projects that between now and 2030, the number of baby boomers turning 65 will average over 10,000 a day. As a result, thousands of baby boomers need to begin educating themselves about their Medicare coverage options for the first time every day. eHealthMedicare.com and PlanPrescriber.com provide educational and comparison tools for Medicare insurance products that allow people to compare Medicare products side-by-side; connect with knowledgeable, licensed agents; and enroll in select products online or over the phone. 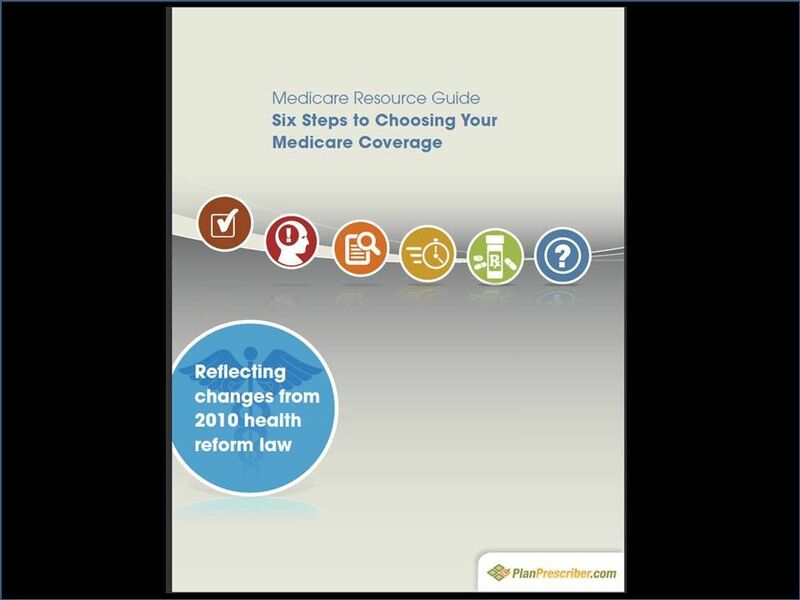 eHealth’s 2013 resource guide is designed for boomers new to Medicare, as well as current Medicare beneficiaries and caregivers of Medicare beneficiaries participating in Medicare’s Annual Enrollment Period (AEP), which ends on December 7, 2012. Anyone who needs help understanding the basics of Medicare or who wants tips to help them choose the right coverage can benefit from this guide. Medicare’s AEP gives beneficiaries and caregivers the opportunity to review and change their Medicare Advantage plan or stand-alone Medicare Part D prescription drug plan for the coming plan year, before changes to their current plan go into effect in January 1, 2013.
eHealth’s Medicare Resource Guide, compiled by the knowledgeable licensed representatives at eHealthMedicare, walks readers through a six-step process to help them understand how Medicare works and be better informed when they are ready to shop for coverage. Assess Your Needs: This step helps people review important questions to assess their personal situation and coverage needs. Understand Your Options: This step offers an overview on the basics of Medicare, looking at the four parts to Medicare (Part A, B, C and D), 10 different types of supplement plans available in most states, and the multitude of Part C (Medicare Advantage) and Part D (Prescription Drug) options that consumers may be comparing. Get to Know the Lingo: This step helps people understand Medicare terminology. When shopping for coverage, it helps to know the basic differences between the types of coverage and the basic definitions of key terms. Know the Timelines: This step reviews the different deadlines and timetables that can impact a person’s ability to enroll in a plan or quality for certain types of coverage. The guide also provides a helpful grid that focuses on individual situations (e.g., “I’m working past the age of 65”), and which timelines apply to each situation. Consider Prescription Drug Needs: This step outlines Medicare’s prescription drug coverage options. The plan a person chooses can dramatically impact what they pay out-of-pocket for prescription drugs. This section provides tips and resources for choosing the optimal prescription drug plan. Take Advantage of Free, No Obligation Help: This step provides a list of free, no obligation resources, people can use to help them understand how Medicare works and enroll in the coverage that best fits their needs. You may be able to get Extra Help to pay for your prescription drug premiums and costs. For more information on Extra Help, you can contact licensed eHealthInsurance agents at 888-312-5447 TTY: 711, or contact Medicare directly at 1-800-MEDICARE (1-800-633-4227). TTY users should call 1-877-486-2048, 24 hours a day/ 7 days a week; the Social Security Office at 1-800-772-1213 between 7 a.m. and 7 p.m., Monday through Friday. TTY users should call 1-800-325-0778; or your Medicaid office. In general, beneficiaries must use network pharmacies to access their prescription drug benefit, except in non-routine circumstances, and quantity limitations and restrictions may apply. NOTE: Medicare beneficiaries base their plan selections on a variety of priorities, including price. eHealth and PlanPrescriber encourage Medicare beneficiaries to consider their specific needs in deciding which plans to select during the Annual Enrollment Period. Medicare has not reviewed or endorsed this information. eHealth, Inc. (NASDAQ: EHTH) is the parent company of eHealthInsurance, America's first and largest private health insurance exchange where individuals, families and small businesses can compare health insurance products from leading insurers side by side and purchase and enroll in coverage online. eHealthInsurance offers thousands of individual, family and small business health plans underwritten by more than 180 of the nation's leading health insurance companies. eHealthInsurance is licensed to sell health insurance in all 50 states and the District of Columbia. Through the company's eHealthTechnology solution (www.eHealthTechnology.com), eHealth is also a leading provider of health insurance exchange technology. eHealthTechnology's exchange platform provides a suite of hosted e-commerce solutions that enable the marketing and distribution of health insurance related products online. eHealth, Inc. also provides powerful online and pharmacy-based tools to help seniors navigate Medicare health insurance options, choose the right plan and enroll in select plans online through its wholly-owned subsidiary, PlanPrescriber.com (www.planprescriber.com) and through its Medicare website www.eHealthMedicare.com.